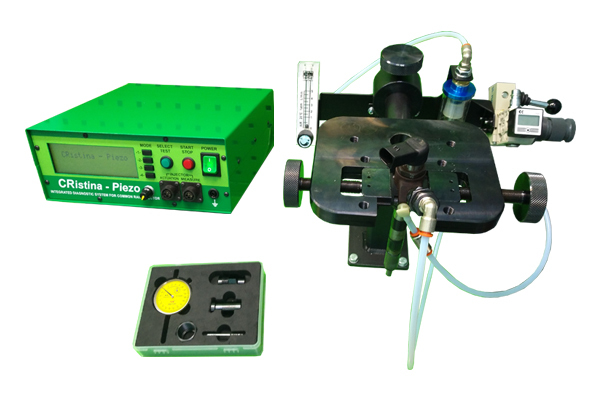 The device is designed to test the piezo injectors. The device detects all malfunctions of the piezo. Identifies problems that similar devices or stands do not detect .The device was developed for the assembly of Siemens injectors, but it is also capable of operating with BOSCH injectors. ATTENTION ! There are different sets available !